“SSG Sal Giunta, a paratrooper w/ the 173rd Airborne, is likely to be the first living Medal of Honor recipient since the Vietnam War. He earned this by charging a group of Taliban who were trying to make off with a wounded comrade in the Korengal Valley of Afghanistan. His actions broke the Taliban’s attack and allowed him to regain control of SGT Josh Brennan. He also saved the lives of the many other members of his unit who had been caught in a near ambush by the Taliban. Giunta didn’t hesitate one second before advancing on his own to ensure the enemy would never take one of ours, but sadly Josh Brennan was too badly wounded too survive. His cousin PVT Joe Brennan recently graduated airborne school and has joined the same unit proudly carrying on Josh’s memory. …Giunta was a Specialist when the action occurred and his squad was hit with a well-planned ambush at extremely close range. He was the trail team leader and Josh Brennan was the lead. When the fighting started Brennan was severely wounded, their squad leader was knocked to the ground, their medic was killed and several others were wounded. Giunta immediately began maneuvering toward the enemy throwing grenades and eventually charging them when he saw two of them hauling Josh away. He emptied a magazine killing one and wounding the other and grabbed Brennan telling Josh to stay with him so that he would get a chance to tell heroic stories. They did get Brennan on a medevac chopper, but unfortunately his wounds were too severe and he didn’t survive. 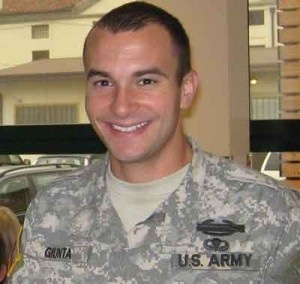 But Giunta’s actions stopped the Taliban from taking him and by running headlong at the enemy he disrupted the ambush. 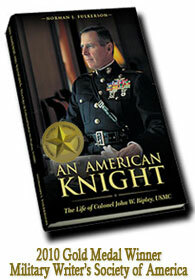 SSG Giunta’s story can be read in Junger’s book “War” starting on page 115. It has been far too long since we have awarded the Medal of Honor to someone who survived, and SSG Giunta is a wonderful addition to the ranks of those who have earned our country’s highest honor. There are a number of others under consideration for this decoration and hopefully this is a sign that more of these brave warriors will be recognized. We have heard this was approved by the White House and they are only waiting to set a date for the ceremony. My name is too Salvatore which mean Savior and unlike Salvatore Giunta I have not saved lives, but surely am very proud of him. Salvatore is a true hero. The entire italian-american community and Sicilian-American community are proud of our young hero.